ANZAC day tomorrow! Let's hope the weather remains good. We have been having something of an Indian summer this autumn and this has meant ongoing, or even increased, problems for some people with insect pests. The weather has been warm during the day but clear skies at night have meant low temperatures and even a frost this morning in the fields around my home. 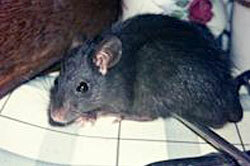 This time of the year is normally when rats and mice move indoors to find fresh sources of food and shelter from the cold. Perhaps a good use of your time would be to take 30 minutes of your ANZAC day off and look around your home for places that rats and mice could enter. It is almost impossible to make any building 100% proofed against rats and mice but 95% makes having an infestation 20 times less likely. Setting out some rodenticide baits and traps would add to the protection; controlling any rodents that find their way in. What do you get if you try to cross a rat with a skunk? Dirty looks from the rat! Pests are defined as organisms in the 'wrong place'; the 'wrong place' as defined by us. But there is more to what we regard as pests. A single aphid on your rose is not a problem for the rose except that it is likely to become hundreds of aphids if left unchecked. A rat in the bush is not a problem, but thousands of rats in the bush will be sufficient to impact seriously the population of native birds, reptiles and invertebrates. One wilding pine on a hillside is not much of a problem, but if the whole hillside is covered they exclude native plants and change the entire eco-system. So it is often excessive numbers of an organism that make them a pest. The reason numbers of organisms get out of control is, more often than not, and imbalance caused by we humans altering the environment to our own ends. The aphids on our roses get out of hand because we have bred roses for their brilliant flowers and not always their ability to resist aphids. Rats were accidentally introduced to New Zealand along with our own migration to this new country and we build buildings that suit rats as home almost as much as they suit us. We planted and grow pines for lumber and should not be surprised that they spread to none cultivated areas. Pest control is our attempt to redress this imbalance. But there is a danger when carrying out pest control of again creating imbalance. When we spray the garden to control the aphids on our rose we may also kill beneficial insects such as ladybugs, hover flies and bees. There are ways to make your re balancing of the environment using pesticides more effective and reduce the risk of creating a new imbalance. Be targeted! Only treat the places where pests are a problem. If you have aphids on your rose. Check the other roses in your garden. 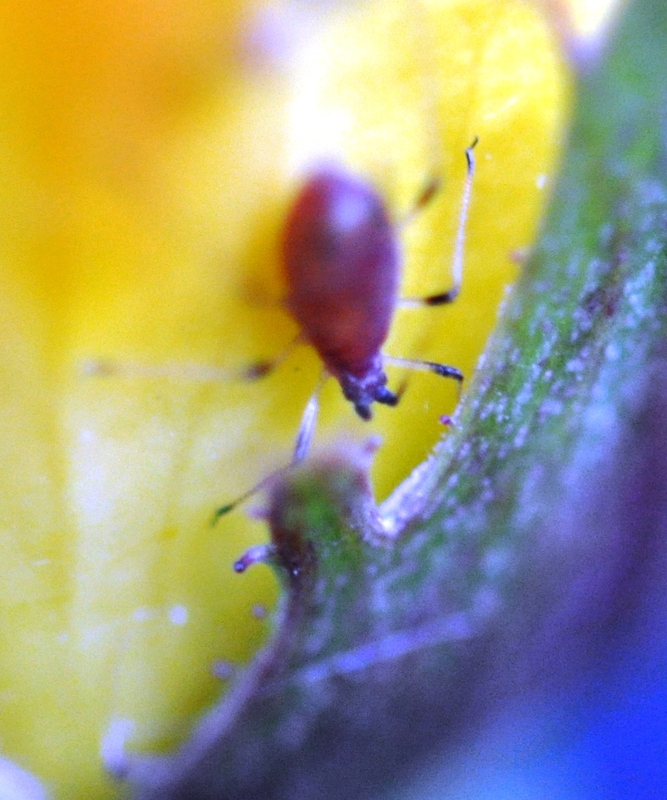 Aphids are mostly host specific, that is rose aphids only attack roses. You will probably find that some of your roses are unaffected; they may be resistant. Do not spray the unaffected roses and do not spray other plants. Even though spraying them might seem to be a sensible precaution to protect them it is more likely to be a costly waste of insecticide and will kill many beneficial insects you should protect. Be targeted! Use pesticides that are as specifically targeted at the pest as possible. For example if your pest is caterpillars eating your cabbages you could use a standard insecticide such as pyrethrum. But pyrethrum will kill all sorts of insects. Consider using caterpillar control products such as Bacillus thuringiensis kurstaki (Btk) which is harmless to insects other than the larvae of moths and butterflies. Be targeted! Don't use pesticides at below the recommended rate even in an attempt to reduce the affect on beneficials. Using pesticides at below the recommended rate risks not controlling the pest but still harming beneficials and the need for further treatment will only harm beneficials further. It also risks leaving sub-lethally dosed pests that survive and develop tolerance to the pesticide. A proactive early treatment of pests is better than protracted series 'half' treatments of pests that never quite gets control. In these ways you will re balance the systems in your garden, your home and your environment. The Microsoft engineer, not knowing much about anything, came up with a suggestion. "Why don't we close all the windows, get out, get back in, and open all the windows and see if it works?"